Q) Hello Gregg, we will start with an easy one what is the average day in the life of Gregg Korrol? I tend to get up early to maximize the day (somewhere in the 5am region). While not always easy, I know sleeping more will not necessarily make me any less tired. My morning begins with a breathing exercise; setting the tone and intention for the day. In general, our mind tends to start going towards the “to-do” list and problems (or things we need to deal with), so my breathing exercises involve focusing on things I appreciate, which aligns my mind and body towards positive feelings, and then setting some goals for the day. A few times a week I then go to the gym before work. My primary job is leading a school where I work with a fantastic team of teachers to create an incredible educational setting for students living below the poverty level. It’s our mission to ensure they are successful and receive all the advantages any other children are able to get. When I get home I spend time with my family, ensuring quality time with my wife and daughter. After doing my daughter’s bedtime routine (includes her reading to me, me reading to her, and us chatting about our day), I then go to work on anything associated with The Gifted Storyteller book, which includes connecting with people on Social Media such as Facebook and Twitter (I try to respond to every email or message I get), working on Podcasts (which you can find on iTunes) and also writing the next book in The Gifted Storyteller series. Aside from all of this, I am working with my father on his innovation, which is changing women’s lives. Yoogen is the first all natural wrap that you wear on your leg that relieves menstrual cramp pain (period pain) in less than 5 minutes solely based on acupressure. Its results and success thus far are outstanding, as most women are speechless when their cramps are gone in just a few minutes without medications. Q) We have read that you have worked in the education field with over 20 years’ experience. What made you turn to writing? I’ve always loved to write and it’s a dream I’ve had since my teen years. I realized a few years ago that 20 years had passed and I still hadn’t done what I truly wanted to do, and I simply was not going to tolerate fast forwarding another 10 years and still not having accomplished one of my dreams. Too often we put off the things we want to do for “other people” or “other demands of life”. I simply had to give myself a kick in the arse and get going. Q) How many hours a day do you spend writing? Not much actually. I set a goal of 15 minutes, which usually amounts to 30 minutes to an hour, but sometimes not. If you take one step a day, there comes a point when you look back and realized you’ve walked a mile. Q) How do you select the names of your characters in The Gifted Storyteller? Michael, for some reason, was always the name of the main character I thought about since I was a kid- no idea why. Jeannie comes from an ex-girlfriend and also is a pun on the concept of a Genie (in a bottle- granting wishes). There are also a lot of hidden winks and nods to people in my life. Only they would recognize the mention. Q) Do you have plans to write another book like this? 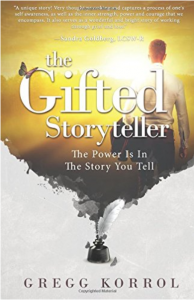 Yes, I am working on both a “lessons book” to unpack the content in The Gifted Storyteller. There are so many lessons embedded in the story, but they need to be explored further so readers know how to apply them. I’m also working on a sequel which focuses on fatherhood. Q) What is your favourite childhood book, have you read this to your family? As a child, my favourite book when I was a toddler was Pat The Bunny by Dorothy Kunhardt and yes I read it to my daughter. But when she was about 2 we discovered a book called Have You Filled A Bucket Today by Carol McCloud and it became our favourite children’s book. It uses the metaphor of filling someone’s bucket (heart) by giving to others, being polite, and helping. When you fill someone else’s bucket, without even trying, you fill your own bucket. We loved the concept and still use the analogy to this day. When one of us does something kind for someone we say, “We filled a bucket” and talk about it. It’s a great concept and book. Q) When you have the downtime, what do you do to relax? I love spending time with friends and family. I am so fortunate to have some amazing people in my life who are dear friends. Even though we don’t see each other as often as we would like, when we get together it’s as if time never separated us and we create amazing memories. I also love to watch movies (big fan of movies like Star Wars, 50 First Dates). Recently I saw The Arrival with Amy Adams and was just blown away by how amazing the message was. It focuses on how communication is key to understanding others- and is something I am so passionate about. I also love listening to music. Favourites include George Michael (who we recently lost), Depeche Mode, Noel Gallagher and Justin Timberlake. Q) Finally, here at World of Books, we are dedicated to providing good quality second hand books to the public worldwide. We buy and process more than 25,000 tonnes of second hand books working with over 3,700 charities across the UK. In a world with an ever-growing digital media base, and increasing environmental concerns, do you believe in the importance of giving each physical book the chance of a new home? When ebooks first came out I loved the concept that I could carry 100 books with me on one device and have choices whenever I went out. Having said that, I then started missing that feel of paper- of physically smelling and touching a book- even just the weight of its feel. Holding a book is like touching a window into another world. I have since started buying mostly physical books. Much like Vinyl LPs, and I am sure soon cassette tapes, there is something special in a physical object that translates into the brain and body differently then digital media. The fact that World of Books gives to charities is beyond amazing. Books give people possibility and hope. Books transport people out of their current situation and take them somewhere else, giving them ideas of next steps. 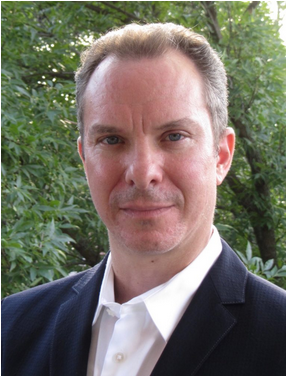 What you are doing is essentially helping thousands of people change their situation. You are helping them tell a better story. Brilliant Interview! – Thank you Gregg Korrol. 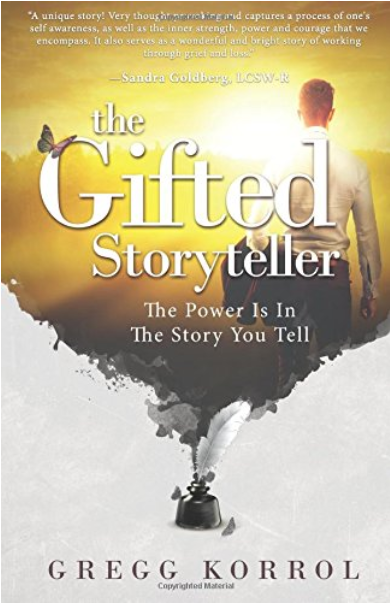 You can read our reviews on The Gifted Storyteller here.